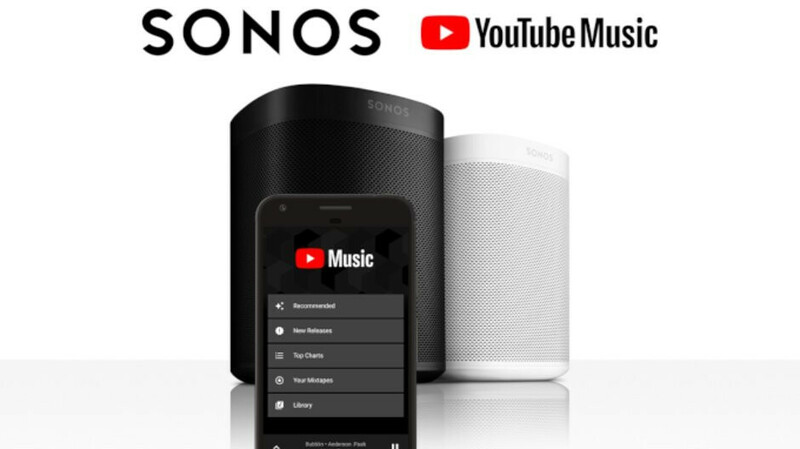 Sonos fans rejoice, as Google has just announced YouTube Music is now rolling out to all Sonos speakers. Google's service is available through the Sonos app, but in order to be able to use it, you'll need a YouTube Music Premium or YouTube Premium subscription. If you already have a subscription, you'll be able to play official songs, albums, playlists, and artist radio, in addition to YouTube's huge catalog of remixes, live performances, and covers. The YouTube Music app comes with various tabs that give users access to content like new releases, top charts, mixtape, suggestions, and library. The Recommended tab has playlists for every mood, on top of user's favorites and last played. These listening suggestions are based on the user's favorites and provide a quick way to find what you like. The Mixtape is a personalized playlist feature that contains a mix of favorites and new songs that YouTube Music thinks you'll like. The playlist is constantly updated so that you won't listen to the same tunes all the time. Finally, you'll find all your saved playlists, albums, and songs in the Library. Keep in mind that YouTube Music and YouTube Premium will not appear on your Sonos speaker if you're not living in a country where these services are available.